Hide this Project (Empire Meadows) Discover properties in other projects by hiding the ones that doesn't interest you. You won't see them in your searches further but you can unhide anytime later. Hide this Dealer (pavan kumar kotha) Discover properties by other dealers by hiding those whom you have already spoken to. You won't see them in your searches further but you can unhide anytime later. Empire Meadows is a residential development project by Empire Meadows, located in Hyderabad. The architecture of this project creatively blends contemporary style with the combination of luxurious lifestyle amenities making this an ideal dwelling for its residents. The project offers spacious and well-designed 2BHK and 3BHK apartments. The apartments offer best in space, comfort and quality in living. Miyapur is located in the western zone, close the the ring road surrounding the whole city. With a number of developing localities, Hyderabad is topping the chart of the home buyer preferences. What is the project location?The project is located at Miyapur, Hyderabad. What size of flats are available in Empire Meadows? 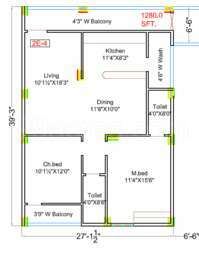 The apartment sizes in the project vary from 1230.0 sqft to 1590.0 sqft. 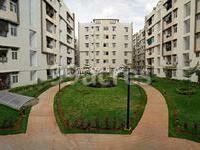 How much is area of 2bhk in Empire Meadows? 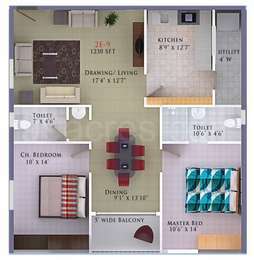 Two-room units (2BHK) in the project are available in an area of 1230.0 sqft to 1280.0 sqft. What is the 3 bedroom size in Empire Meadows? The area of 3BHK units in the project varies from 1460.0 sqft to 1590.0 sqft. What is the area of Empire Meadows?The total area that the project occupies is 7.05 Acres. 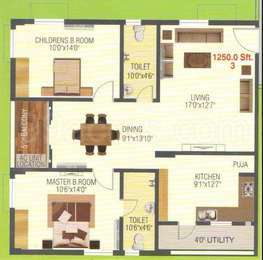 What is price of 2 bhk in Empire Meadows? 2 BHK apartments in the project are available at a price of Rs. 5120000. Am interested to know what pollution free environment means. How is waste (kitchen, paper, plastic, electronic consumer) collected and managed in this new community? What is the source of drinking water? Are there any public transport services or facilities? What kinds of community center activities exist? Can anyone let me know when project is going to be completed along with amenities ? also is that area safe to travel in night time ? i came to know there is no manjeehra line yet ..is it true ? Hi Vissa, this area is good for investment purpose with good connectivity in this area. You will not face any problem as far as amenities are concerned. This is ready to move now and you can explore on your own and have a better point of view.